Prime Minister Dr Mahathir Mohamad today held a closed-door meeting with the leadership of the Kelantan Bersatu at a hotel in Kota Bharu. The meeting took about an hour from 10.15am which was also attended by Kelantan Bersatu chief Kamaruddin Md Nor and his deputy Sazmi Miah. 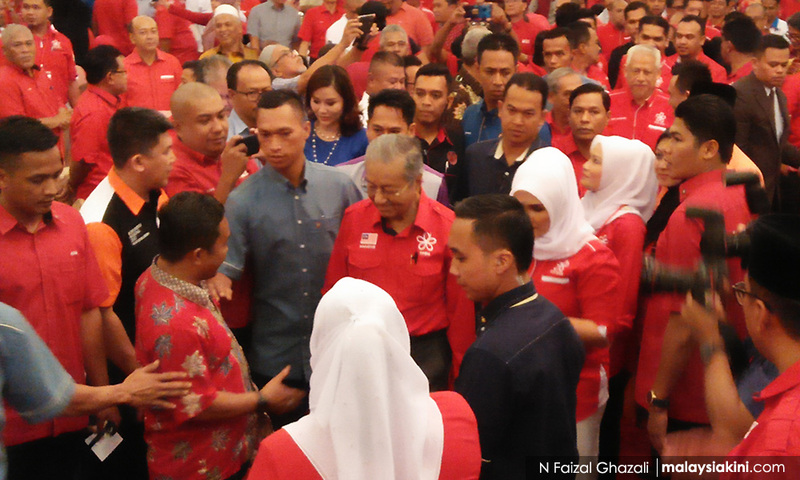 Mahathir, who was currently on a one-day visit to Kelantan, then attended a friendly gathering together with Kelantan Pakatan Harapan leaders at the same hotel. He was accompanied by his wife, Dr Siti Hasmah Mohd Ali and Jeli MP Mustapa Mohamed. Kelantan Menteri Besar Ahmad Yakob was scheduled to hold a meeting with Mahathir to discuss various matters, including development in the state, at the hotel today at 3pm. To end his visit, Mahathir would meet federal departments heads in the state.